Chlorella is nature's perfect and wholly balanced nutrition and systemic detoxification food supplement. Chlorella acts as a systemic biological mop within your blood vascular system increasing cellular oxygenation and balancing metabolic pH. Within your lymphatic system, chlorella regenerates your immune capacity by providing enzyme activated vitamin, mineral and amino acid balanced components while eliminating soluble toxins. Scientific research indicates that regular use of chlorella prevents heart disease, and reduces high blood pressure and serum cholesterol levels. Chlorella is a natural food. 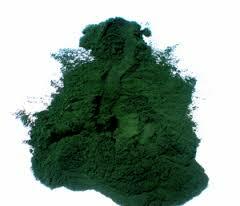 It is a dark-green colored micro-algae that is the world's richest natural source of chlorophyll. Man has picked out the best strains of chlorella to grow and harvest, but has not tampered with its genetic structure - yet. Heavy metal removal using chlorella. Chlorella is also proven to be beneficial in post-radiation and chemotherapy detoxification. The high levels of chlorophyll in chlorella have been shown to protect the body against ultraviolet radiation treatments while removing radioactive particles from the body. This detoxification of heavy metals and other chemical toxins in the blood will take 3 to 6 months to build up enough to begin the process depending on how much chlorella a person is taking. Chlorella is a food. As such, it is almost impossible to take too much chlorella. Chlorella belongs to the phylum Chlorophyta and lives in fresh water as a single celled plant. Its size is about that of a human erythrocyte; i.e. between 2-8 microns in diameter. The name chlorella derives from the Greek word chloros, meaning green, and the Latin diminutive suffix ella, meaning small, referring to the unusually small leaf with its high content of chlorophyll, which gives chlorella its characteristic deep emerald-green colour. Chlorella is rich in protein, vitamins, minerals, CGF (Chlorella Growth Factor) and other beneficial substances yet to be formally identified. At the division stage, a 'mother' cell divides into 4 'daughter' cells. There exists a theory that the Jews 'manna' which was sufficient to keep them alive for 40 years in the desert, was chlorella made daily with the assistance of the Ark of the Covenant. Abraham's God given directions to Moses for making the housing for the device inside of the Ark of the Covenant - in order to render it less deadly to the touch - included enclosing wood with gold lining on all sides, in the way one would create a capacitor capable of holding and then discharging energy extremely rapidly, unlike a battery. Presumably, from all the records, Abraham's God was a Sun God and possibly the Ark encased some off-world technology given by God, like a singularity created artificially inside a crystal, as described in many early civilizations, and known as the black sun or black crystal, capable of producing plasma dynamics spinning at high angular velocity, generating torque in space-time, and producing gravitational and energy effects that would explain its ability to part waters as described in Joshua 4:18-23. 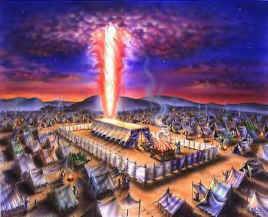 The Ark had a vortex of cloud and fire above known as "the divine presence of God", and it and was carefully contained by the gold-lined sides, base and mercy seat, but required a safe conduit of wood between it and any life form, and was kept in a separate tent by night. Feasible in an off-planet sense? But it is obvious that the estimated six hundred thousand men - besides the women and children - who wandered in the desert for 40 years, had to get their essential vitamins and minerals from something besides the bread and quails that Abraham's God provided each day except the sabbath as in Exodus 16. So maybe they did use the Ark as an energy source for the cultivation of chlorella since they had the water for it, which was also given to Moses by Abraham's God. 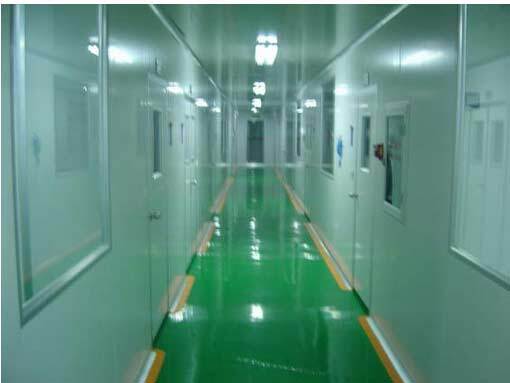 In the 1950's, Dr.Fujimaki of Tokyo Science Research Institute, identified CGF as being responsible for the production of macrophages within the immune system which can assist in the destruction of cancer cells and the removal of cellular debris. Experiment has shown that CGF improved the resistance to abdominal tumors and increased the number of immune cells in the abdominal cavity. Chlorella Growth Factor (CGF), or Chlorella Extract, is a 100x concentrate of Chlorella comprising the most important nutritional components the body requires for cell replication, the accuracy of which replication translates into longevity. It takes 100 pounds of Chlorella to make 1 pound of CGF. So it is more expensive than chlorella, but a little goes a long way. Chlorella has been used effectively as a topical treatment for damaged tissue and it is the CGF in chlorella that has helped in reversing chronic diseases of many kinds. The CGF in chlorella is an amalgam of RNA, DNA, amino acids, vitamins and minerals whose exact properties have not yet been identified. RNA/DNA strengthens immunity by improving the activity of T-cells and B-cells which are the principal immune system defenders against viruses and other invading micro-organisms. Because CGF contains a growth-promoting substance, it makes it valuable as an ingredient in breads and fermented drinks. If chlorella extract is added to the dough before yeast fermentation, the visual appearance and flavour of the loaf can be enhanced. It will also keep the bread fresher for a longer period. Chlorella may be taken in the form of tablets, capsules or powder added to foods and drinks to improve their flavor. Examples of using it in powder form include adding it to wine, cakes, cookies, cheese, ice-cream, mayonnaise, pasta, rice, smoothies and soft drinks. Taken in any form, chlorella can improve the nutritional quality of your daily diet as it is rich in CGF, protein, vitamins and minerals and is known to balance metabolic pH and chelate heavy metals. The increase in processed and refined foods in the diet, and toxins in the environment of modern man, make chlorella an important food supplement for anyone interested in better health. ^ Sassoon, George; Dale, Rodney (1978). 'The Manna Machine'. Their theory took evidence from the Zohar - which is a commentary on the TORAH - and the foundational work in the literature of Jewish mystical thought known as Kabbalah. ^ CGF experiments Performed in 1950's, Dr.Fujimaki, Tokyo Science Research Institute.